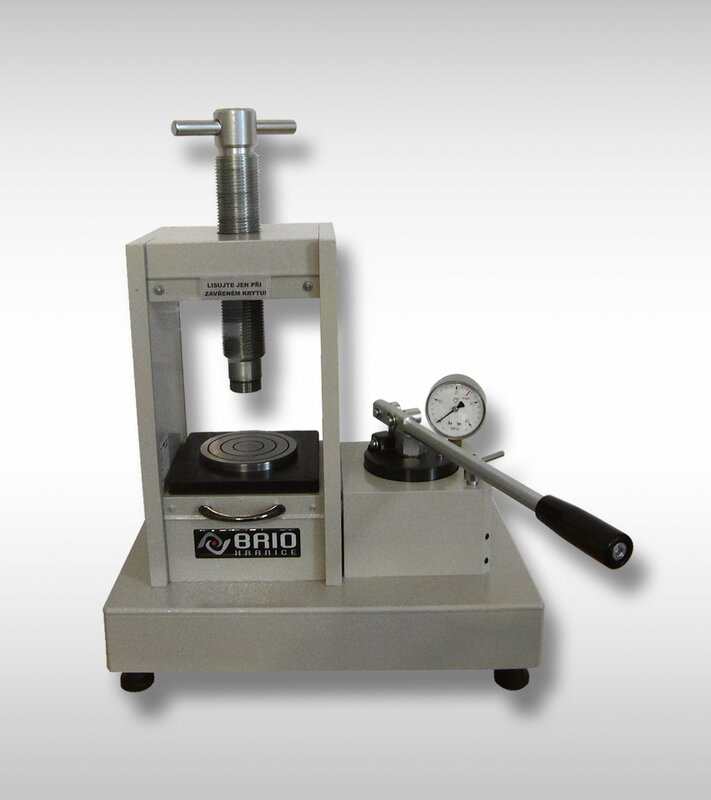 Hand operated laboratory compressing machine is designed for maximum force power up to 25 tons. Machine is designed to sample (pellets) preparation for X- ray fluorescent spectrometry, infrared spectrometry or for calometry methods etc. Power is generated by double-armed bar. Height is set by screw. Working area of the machine is covered. Actual force value is shown on the manometr scale. Pelleting device is supplied with Ø 10, 20, 30, 32 and 40 mm. Any other atypical dimension can be ordered.